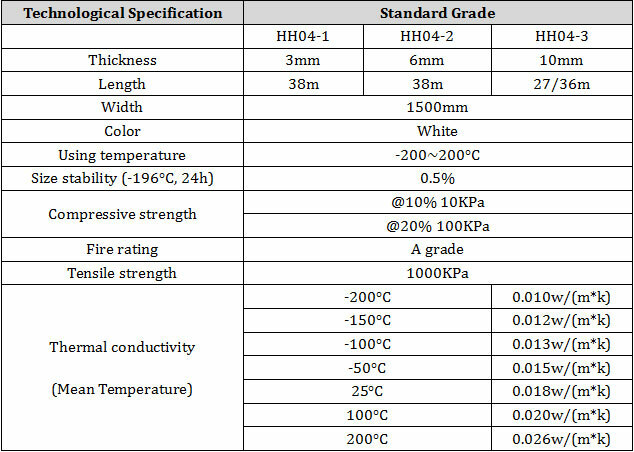 Aerogel felt HH04 is used for -200°C to 200°C pipes and equipment hot and cold insulation. 1,As chemical, biological medicine pipes and equipment, liquid nitrogen, LNG etc. 2,As steam pipelines hot and cold insulation.